Last year’s Guildford outing brought about a frustrating loss for Surrey at the hands of Glamorgan, one that continued the trend of a difficult start to the season. After that defeat, the South London club turned their year around and they’ll be hoping that this year’s out ground trip will have a similar effect. A comprehensive 228 run victory over Nottinghamshire leaves Surrey sitting second bottom of Division One, still yet to really get their season off the ground halfway through the County Championship fixtures. It’s far from the start the Division Two winners would have wanted, but as the second half of the season beckons, time is beginning to run out for fortunes to change. Fortunes have been slightly better for Warwickshire, sitting in fifth place but like the hosts have only picked up one win. Weather prevented the visitors from making a real attempt at victory against Nottinghamshire last week, the sixth draw for the Midlands side. 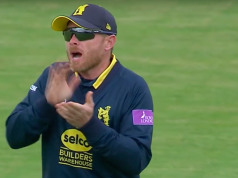 Only 14 points shy of top spot, Warwickshire know that a win puts them into a strong position to challenge for the title, and with Surrey struggling in all forms of late, they’ll feel confident that they can gain maximum points, should it remain dry. In four fixtures between the teams at Guildford, Warwickshire have emerged victorious in two with a stalemate in the other two. With rain set to interrupt the game, the points could be shared once again. Surrey may have lost Kumar Sangakkara, but Aaron Finch isn’t a bad trade. The Australian international will be making his Surrey debut in this game and, with batting having proved something of a problem this season, he will be a valuable asset to the team. The small boundaries at Guildford will undoubtedly benefit Finch and Warwickshire will need to remove him early. 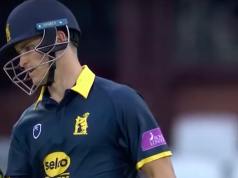 Warwickshire’s leading run-scorer Jonathan Trott has been in excellent form this year, picking up a double hundred earlier in the season against Middlesex and frequently holding together an innings with four half-centuries. Big runs are on offer at Guildford, giving Trott ample opportunity to help his side to a huge total. Aaron Finch joins the Surrey squad for the first time and is expected to make his debut, with Kumar Sangakkara, along with Ravi Rampaul, now unavailable due to playing in the Caribbean Premier League. Jason Roy is also unavailable thanks to England commitments, but Sam Curran returns to the Championship squad having finished his school commitments. Patches of rain will likely affect parts of the first three days, with much of Saturday expected to be lost to adverse weather.